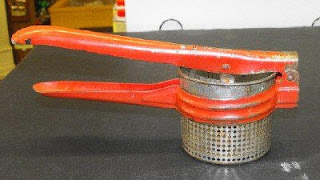 Mom had several red handled kitchen tools, this ricer was one of them. I remember seeing it in the kitchen drawer but I never saw her use it. My blog has been chosen as "Blog of the Week" at NLBlogRoll....yay! Check out the previous blogs of the week too. My aunt had a potholder like this, it had a magnet in the loop and she kept it on the side of her fridge. 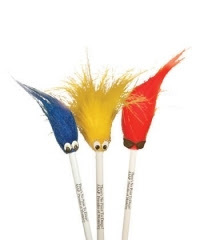 Funny the little things I remember. 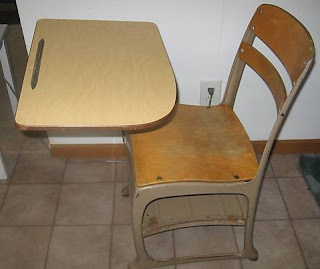 This was the type of desk I used when I was in elementary school, in the 70's. 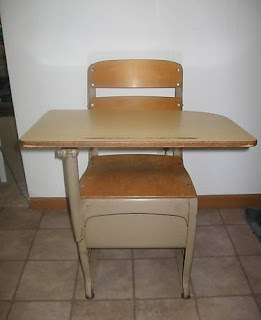 I haven't been in a classroom in a long time so I don't know if this type of desk is still in use. Mom had this cookbook and it was well used. The jacket was missing but it had a pink hard cover. 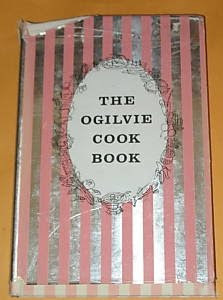 I remember making a coconut cake using a recipe from this cookbook when I was a teenager. 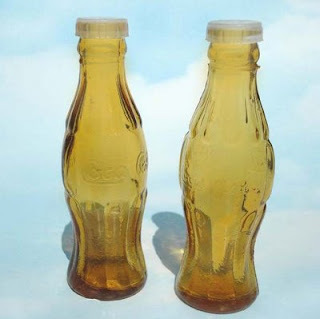 In Mom's large collection of salt & pepper sets she had a set like this....Coke bottles. 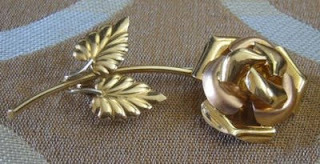 My mother had a lot of brooches and she had one a lot like this....a gold rose.